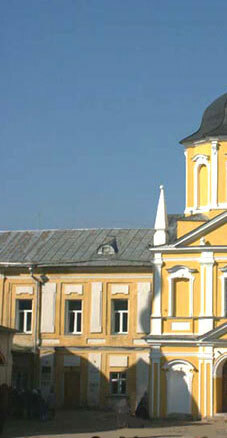 The Sergiev Posad State History and Art Museum-Reserve – is one of the major museums in Russia. 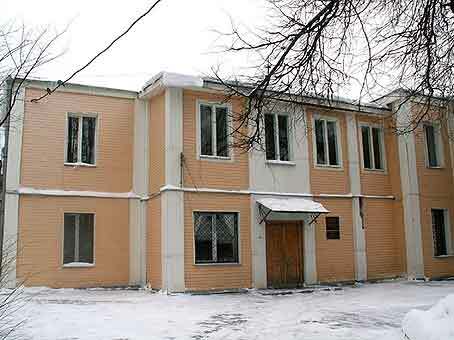 “It is a kind of Hermitage of Russian culture of the 14th – 20th cc.” (Academician D.C. Likhavhev).The Museum was founded by the decree signed by V.I. Lenin in 1920. 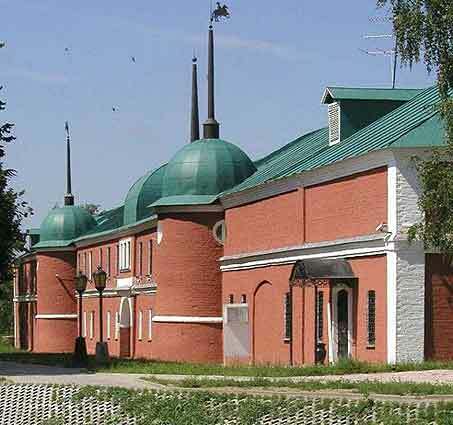 Its basic part including historical and artistic treasures of the Trinity-St. Sergius Monastery was supplemented by the collections of Russian folk and contemporary applied and decorative art. 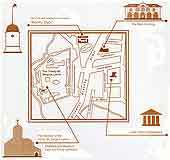 Now the Museum displays are housed in 4 expositional complexes in the historical center of the town. 1. “The Sacristy of the Trinity-St. Sergius Lavra of the 14th – 19th cc.” presents the art collection formed in the Trinity-St. Sergius Lavra, which is housed at its historical place – in the Sacristy building and in the Vicegerent Chambers on the Monastery territory. Ten exhibition hall demonstrate works of applied and decorative art, painting, ornamental and icon-embroidery of the 14th – 19th c.
3. 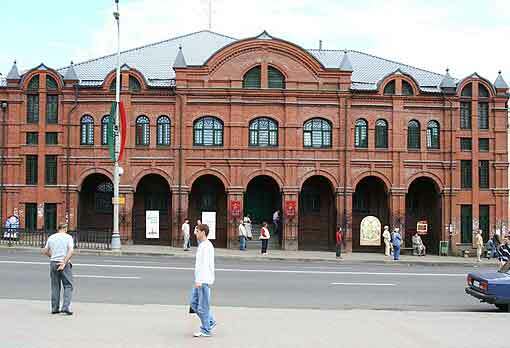 In the Main Building of the Museum (prospect Krasnoy Armii, 144, across the Bely prud) be situated the central Exhibition Hall. There are organizes regular exhibitions of the Sergiev Posad artists whose works reflect cultural traditions of our town. 4. 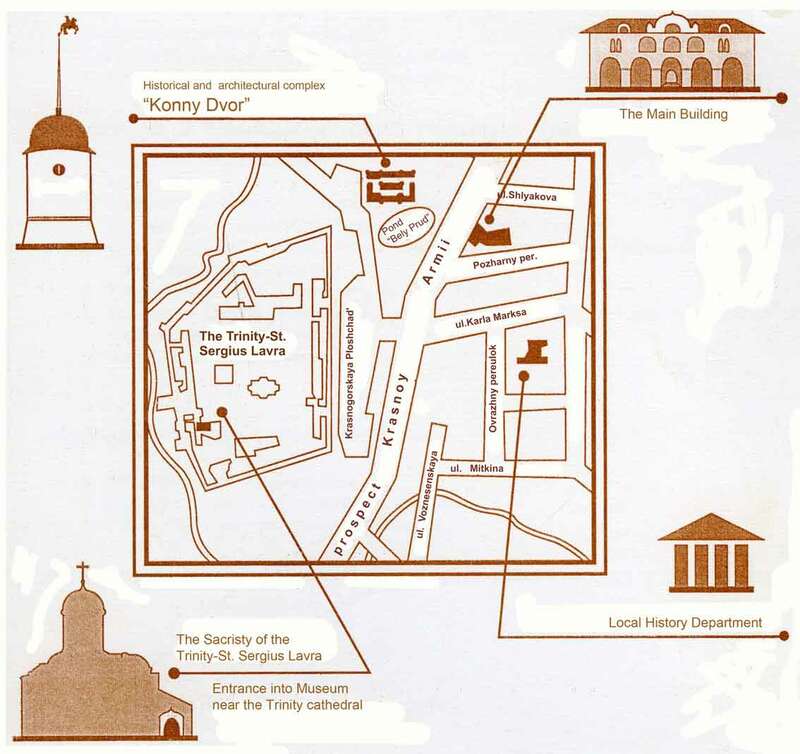 Local History Department (Ovrazhny pereulok, 9) is the youngest section. Its exhibits present local history of the 20th century: convey the atmosphere of provincial Sergiev Posad at the late 19th – early 20th century, illustrate sever life and hard work during the Great Patriotic War. The department is houses in a cozy mansion surrounded by trees. The Museum displays are constantly supplemented and modernized. Annual exhibitions present richest collections of the Museum and recent works of Russian art.